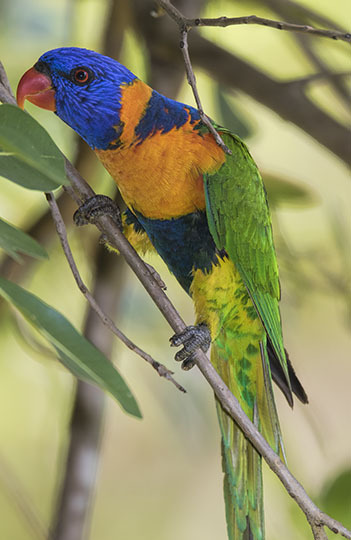 Australia has a wonderful array of parrots; many are colorful and the red-collard form of the common rainbow lorikeet is one of the flashiest. 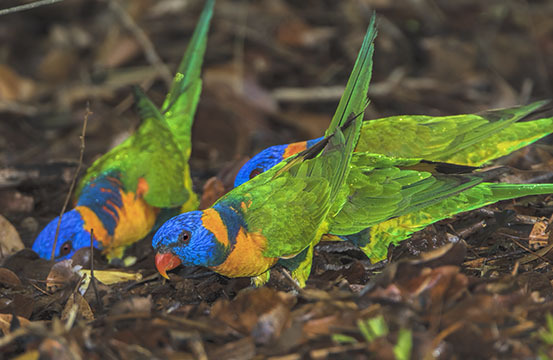 Lorikeets feed on fruit and nectar; like most parrots they are noisy and social and are usually found in flocks. These were in Kakadu Park in the Northern Territory. 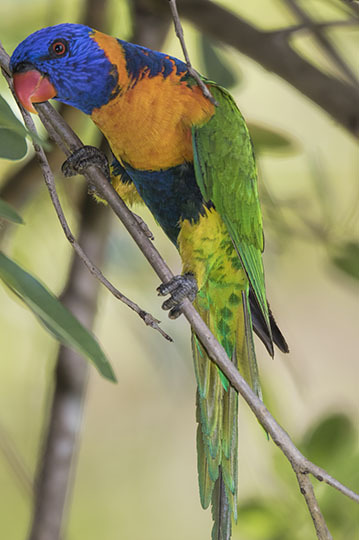 Other parrot species on this site include the double-eyed fig parrot, red-tailed black cockatoo, galah, gang-gang cockatoo, Baudin's black cockatoo, Carnaby's black cockatoo, sulphur-crested cockatoo, yellow-tailed black cockatoo, king parrot, red-winged parrot, rainbow lorikeet, scaly-breasted lorikeet, musk lorikeet, swift parrot, superb parrot, mulga parrot, 'mallee' ringneck, western ringneck, eastern rosella, western rosella, and red-capped parrot.